After a week off from running post injury, I went out for my first run. I was really anxious about it because I'm exactly two weeks away from a half marathon that I have no only paid for, but also bought a hotel room for in full. I cautiously hit the road this morning and I felt awesome. The weather was cool, I found a great new station on pandora and the miles were easy. I even felt fast! 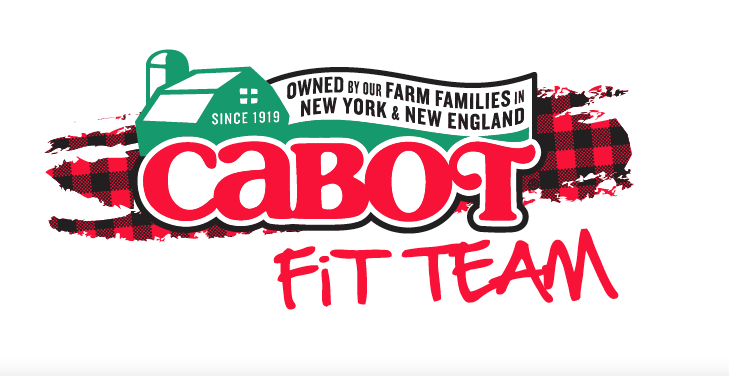 In honor of this fabulous 9.3-mile run, I have another post about what I eat and drink on long run days to fuel and recover. 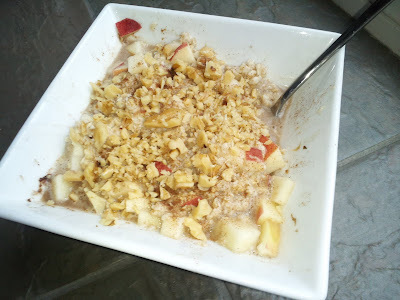 First, I started with a hearty breakfast of a 1/2 old fashion oat meal made with Splenda, a few shakes of cinnamon, a chopped gala apple, a 1/2 ounce chopped walnuts and enough water to get a nice texture. I microwaved all that for one minute and chased it with two glasses of water and my daily vitamins. 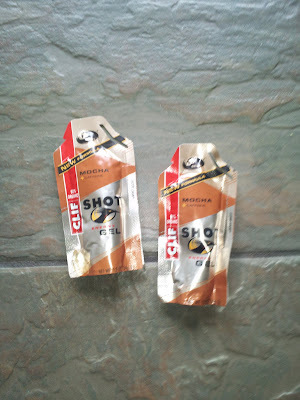 On my run, I ended up having two Clif mocha shots with caffeine. I planned to eat one, but I started dragging with only three miles under my belt, so I ended up having one a mile 3.5 and another around mile seven. So tasty ... love these things. It's amazing how 200 calories of caffeinated frosting makes an hour and a half of running so much easier. When I got back, I stretched and took a bossy little puppy out before consuming another 200ish calories in drinks. 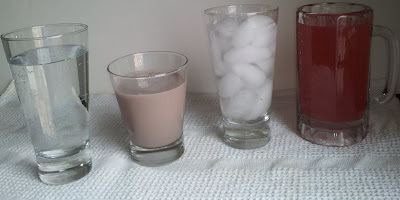 I consumed, in order, water, a cup of skim chocolate milk, more water and a glass of sports drink (it was some off brand powder from Aldi. It's banana strawberry something or other). Before I hit my ice bath, I made myself a pumpkin coffee. I don't drink a ton of coffee, but I like to have something warm while I'm soaking in freezing water. I made my homemade version of a pumpkin latte with 1 tablespoon of pumpkin-flavored creamer, 1/4 cup skim milk, 1 teaspoon pumpkin pie spice, 1 tablespoon splenda and 1 1/2 cups of coffee. 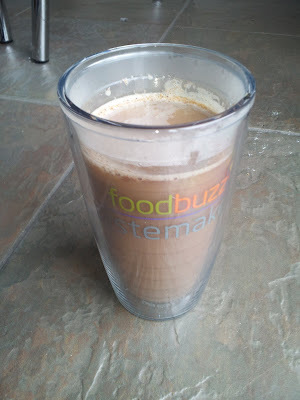 I warmed it all together in this cup I got through the Foodbuzz Tastemaker program. It's made by Tervis and is insulated, so it kept my coffee warm, even though I was impersonating a popsicle in my ice bath. By the time I got cleaned up, it was lunch time. 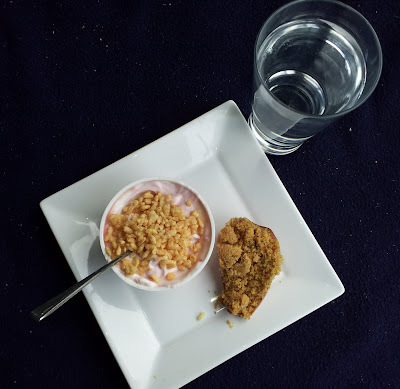 Lunch was more water, a strawberry Chobani with puffed rice cereal and a baked pear crumble. It was so yummy. 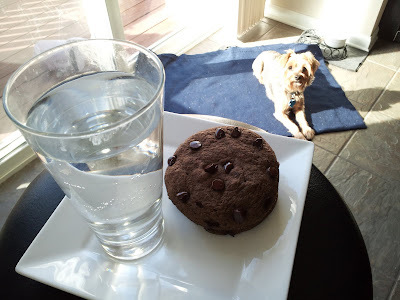 For my afternoon snack, I made a chocolate protein muffin with pumpkin instead of applesauce. 'Tis the season for pumpkin awesomeness! And yes, I was photobombed by the dog. 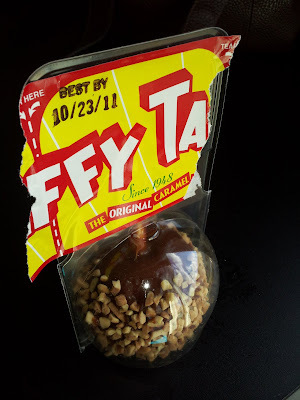 Along that theme, I also had a candy apple. They were on sale and I love them so. 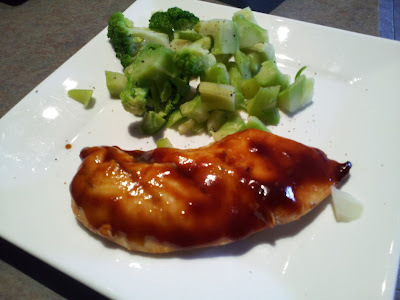 For dinner, we kept it low key with grilled chicken breasts (I topped mine with a little barbecue sauce) and some broccoli pieces. I'm off to drink some more water and ice a little more to keep the soreness at bay.